The Japanese disasters have raised questions as to whether nuclear technology can ever be called safe to use. EU nuclear experts are considering if the union should eventually move away from nuclear energy. 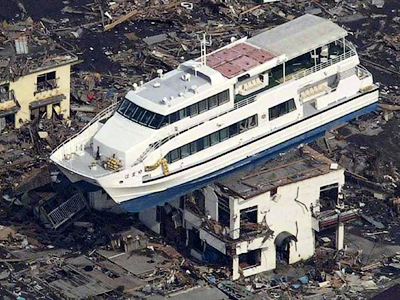 ­The devastation in Japan and the nuclear threat now posed are making countries around the world think again about how they create their energy. The International Atomic Energy Agency says 20 per cent of the world’s nuclear reactors are located inside the zones of seismic activity, similar to Japan. Russia says its nuclear program is perfectly safe and will continue. said Russian Prime Minister Vladimir Putin. However, Putin has ordered the Ministry of Energy to evaluate the current state of affairs in the nuclear power sector and present the results in a month’s time. European Union nuclear experts are meeting on Tuesday in Brussels to consider whether nuclear energy should still be used by the union. "We must also raise the question of if we, in Europe, in the foreseeable future, can secure our energy needs without nuclear energy," EU Energy Commissioner Guenther Oettinge was cited as saying by Reuters. Tuesday's meeting in Brussels has been raised from the expert level to ministerial level. All the 27 EU ministers have been invited to discuss the concerns that have been growing inside the EU. The ministers have decided to apply stress tests to see how its 143 nuclear plants would react in emergencies, AP reports. The proposal was put forward by Austria at the meeting of EU environment ministers on March 14, while Spanish and Portuguese environment representatives called for the gradual phase-out of nuclear energy. France and the UK are the EU countries with the highest number of nuclear reactors, 58 and 19 respectively. Italy is an example of an EU country which is planning a huge nuclear plant building program to reduce its dependency on external energy sources. Rome, along with London and Paris ask to treat the matter with "calm". Guenther Oettinge has urged the member states to rethink the European energy policy, which is now focused on diversifying from dependency on Russia’s gas. In the wake of Fukushima’s explosions, the opposition to this push to nuclear power is growing fast and sharply. The EU encompasses several so-called ‘boiling water reactors’, which is the same type of nuclear plants as in Japan’s Fukushima. Some 60,000 people are estimated to have gathered across Germany near the sites of four nuclear reactors to express their opposition on Monday night. Chancellor Angela Merkel announced taking Germany’s seven oldest reactors offline during a three-month moratorium on the country's nuclear plan. During the moratorium "the security of the situation will be assessed in view of what happened in Japan," Merkel said at a press conference in Berlin. Earthquakes are quite common in Turkey. In 1999, two major tremors killed more than 20,000 people. Despite this, Ankara wants to launch an atomic power plant to diversify its energy mix and boost supply to keep up with soaring demand for electricity. Other countries have also started questioning nuclear technologies. South Korea has pledged to check all the main nuclear production facilities in the country and the biggest oil and gas storage facilities to validate their security against quakes. Thailand will reconsider its plans over the building of five nuclear plants on its territory. The Thai Energy Ministry has been instructed to study two issues in detail – emergency measures and nuclear plants' potential as terrorist targets, AsiaOne news agency reports. More and more countries are starting to speak along the same lines, questioning nuclear power and its resistance to natural disasters. With all the processes launched, the world might be on the threshold of a totally different future. ­The International Atomic Energy Agency ruling out comparisons between the Japanese accident and Chernobyl, the worst ever nuclear disaster. 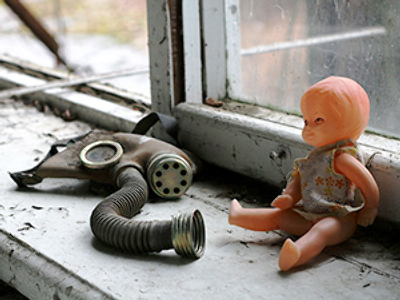 In April, 1986, the Chernobyl reactor exploded as a result of the wrong individuals being in the wrong place at the wrong time. “They had a very poor knowledge of the reactor’s physics," says nuclear physicist Boris Gorbachev. “They knew the manual and what buttons to push, and that’s it. But they knew nothing of reactor physics. The personnel drove the reactor to a state in which it was out of control”. While the authorities clearly knew who to blame for the fallout, even the Soviet Union’s top scientists were at a loss as to what to do in the days the catastrophe unfolded. “A nuclear power station is an emission-free facility. 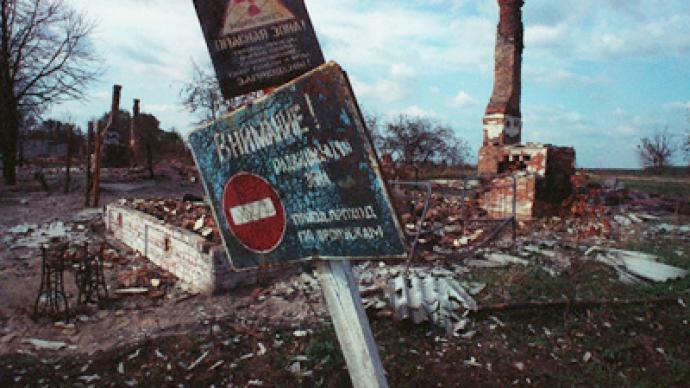 This was something unseen before – a nuclear power station with flames and smoke over it,” shares Valery Legasov, Chief of the Investigation Committee of the Chernobyl disaster. The nightmare that the Chernobyl reactor became was eventually sealed off within a massive concrete tomb called the sarcophagus. The catastrophe provided valuable lessons in how to deal with a reactor disaster, but also stern warnings about the dangers of nuclear energy. What new lessons will be learned, and what implications they will have for nuclear technology, the world nervously waits to see. Quarter of a century on, history seems to be repeating itself in Japan. Despite the authorities’ claims of having the situation under control, the Fukushima nuclear power plant has already seen several explosions. And that happened despite advanced safety systems which the Chernobyl reactor did not have. That such a situation is unfolding in one of the world’s most technologically-advanced countries has heightened the sense of alarm internationally. Some experts say one should look into how the Japanese have been dealing with nuclear physics to get clues as to their continuing difficulties in dealing with the disaster. The Japanese nuclear drama is certainly not the first case of man’s over-reliance on technology. It can be a dangerous friend, and, when mishandled, can strike in disastrous fashion. ­Linda Gunter, a founder of the Beyond Nuclear website, believes that the disaster will convince people to go beyond nuclear power and move onto other sources of energy. “This is the moment the world needs to take stock and say 'Nuclear power is not safe, it’s not clean, not reliable'. In a state of emergency like in Japan you need electricity. But what happened? The source of supply of electricity is a crisis itself,” she said. ­Jan Haverkamp, a nuclear power expert at Greenpeace in Brussels, agrees that the Fukushima incident will make people realize that nuclear power is no longer a viable source of energy.